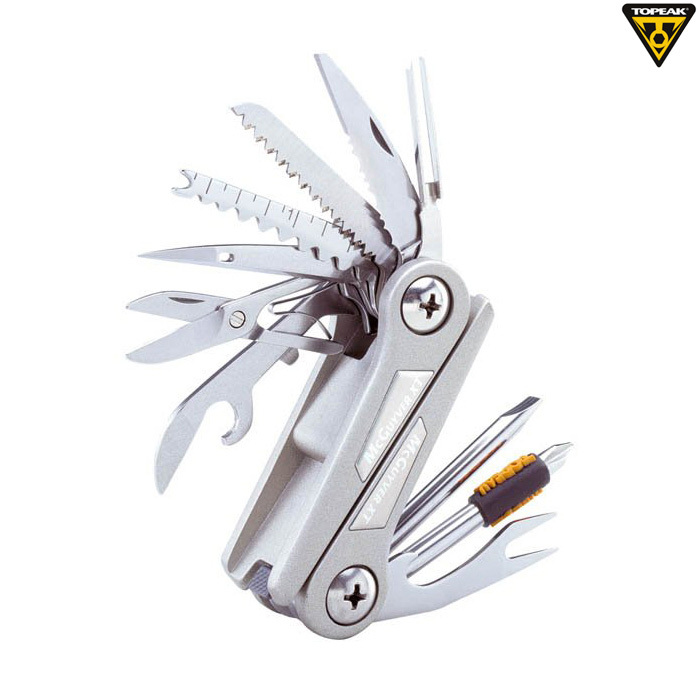 Lightweight 16 function tool is compact and simple to use. All tools are stainless steel and fold into a Magnesium body for easy carrying. Separates into two tools with the press of a tab.